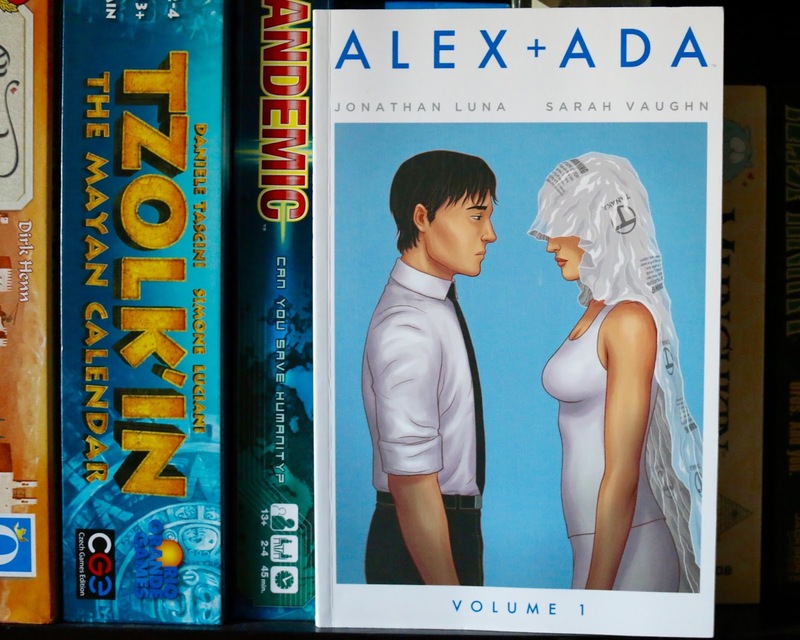 Alex & Ada is about a man who receives a robot from his grandmother for his 27th birthday. Seven months prior he went through a bad breakup and his grandmother (and his friends) thought it was time for him to move on. Alex thinks having a robot girlfriend is really weird but after going back and forth, he can’t seem to bring himself to return her. Instead, he reaches out to people who may be able to give her the bit of humanity she is lacking, which is what makes her weird to him- the ability to make her own decisions, have opinions, and experience life. This also happens to be very, very, illegal. At the end of volume 1, we see Ada “wake up” for the first time. It was intriguing enough for me to really look forward to reading volume 2. I didn’t rush out and buy it, but I did request it from the library.